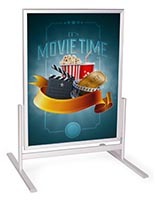 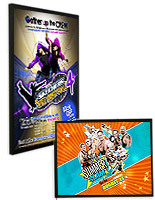 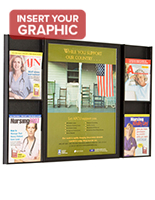 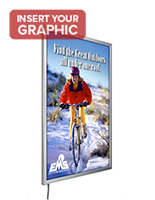 These eye-catching 22x28 snap frames are great for advertising with wall mounting, ceiling hanging and floor standing models. 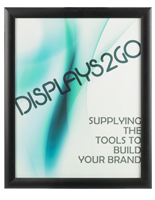 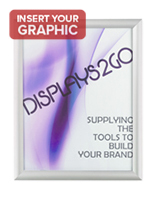 Each of the displays has an easy-change enclosure for changing graphics on the fly. 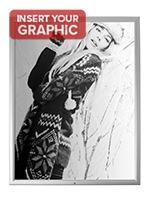 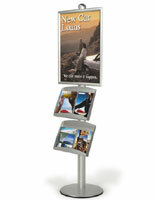 Included with each signage enclosure is a clear faceplate that protects prints from damage and reduces glare. 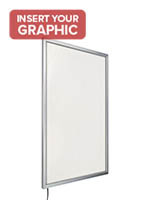 To change posters on these 22x28 snap frames, lift back the edges, take down the protective lens and insert the new image. 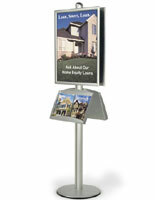 The sign holders are made of durable aluminum and are offered in neutral finishes like black, silver and natural wood. 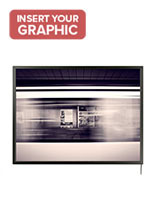 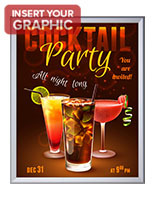 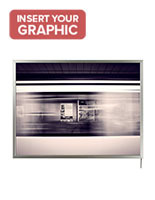 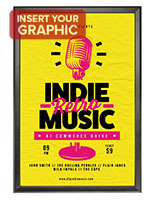 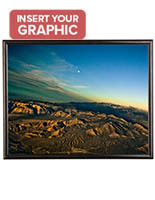 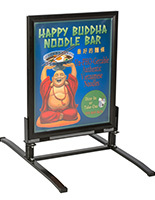 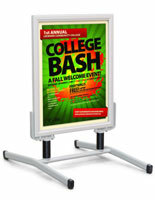 This makes the 22x28 snap frames ideal for any establishment, no matter the décor. 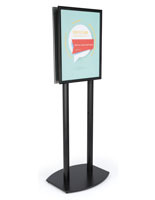 Where can these quick-change poster holders be used? 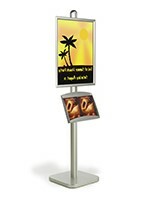 Retail stores can use these to feature promotional messaging, bringing customers in with information on offers and pictures of popular merchandise. 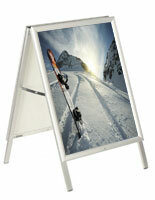 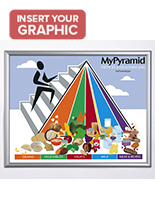 Restaurants can also make excellent use of the 22x28 snap frames, where they can show vivid images of food. 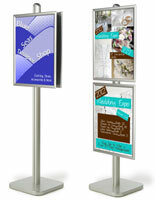 Many businesses use the displays to show different advertisements for menu changes, seasonal offers and upcoming events. 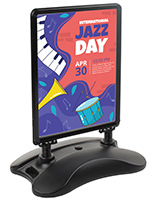 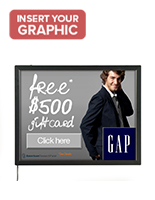 While we offer floor standing fixtures, wall mounts and ceiling hangers for indoor use, there a number of sidewalk signs in this size as well. 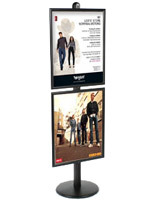 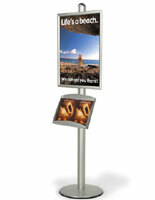 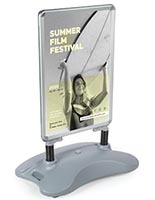 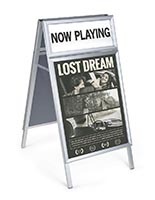 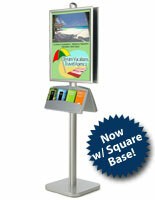 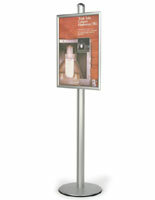 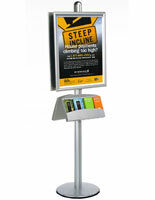 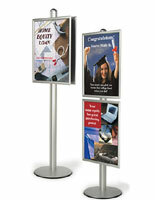 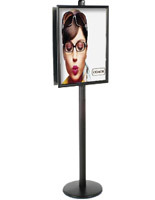 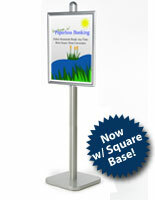 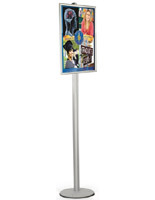 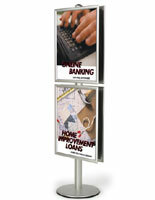 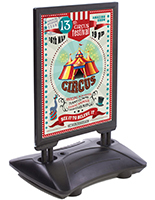 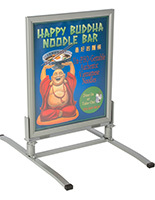 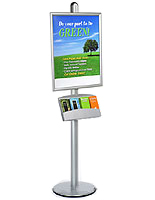 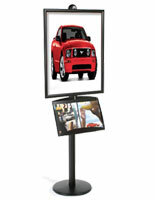 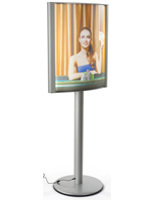 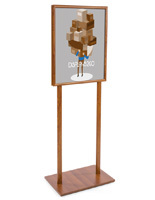 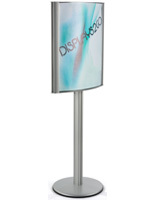 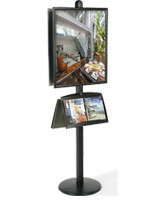 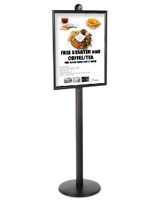 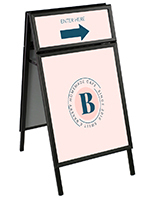 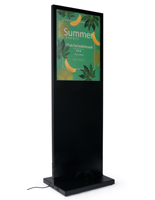 Lobby stands and easels are also available and can be used for both promotional and wayfinding information.